Oh but before you tell me your favorite berry, haven’t you heard the news? Just recently a new berry was discovered and Groove Inc is optimistic that it will reign supreme as 1 of your top favorite berries! 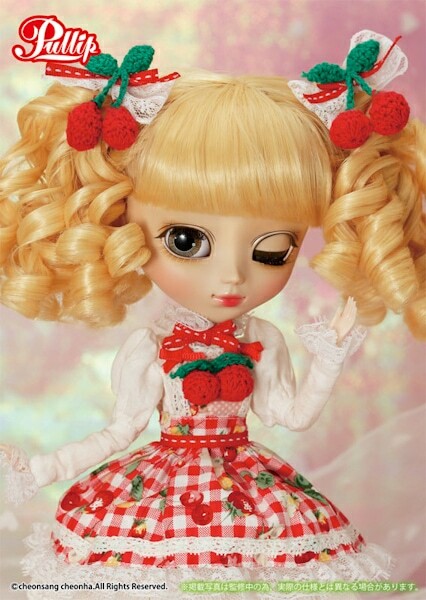 Groove Inc's new berry is appropriately named Pullip Very Berrypop and she is scheduled to hit a Pullip retailer near you, June 2016. 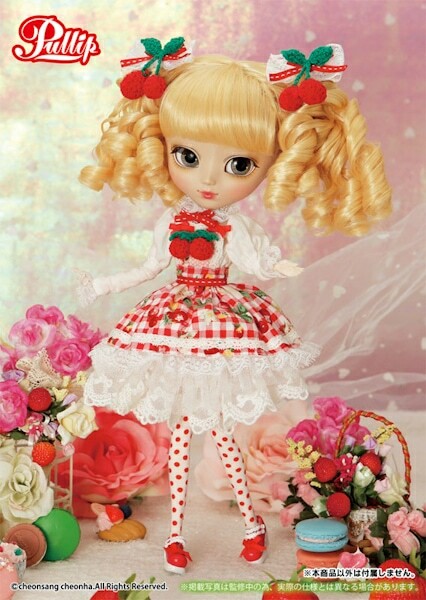 From her oversized head to her tiny feet Very Berrypop is adorn in berry motifs making her a fun & whimsical Pullip doll. The fabric print, the design of the dress, as well as her polk-dot stockings have a sweet and innocent feel about them. 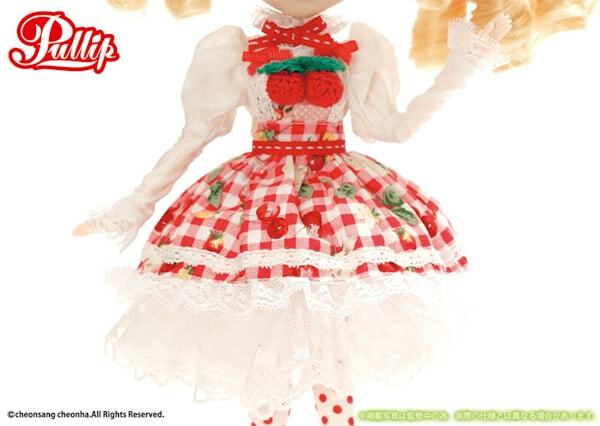 The crochet berries that hold her curly twin tails is a nice added touch, though I can do without the the 2 berries dangling in front of her chest. 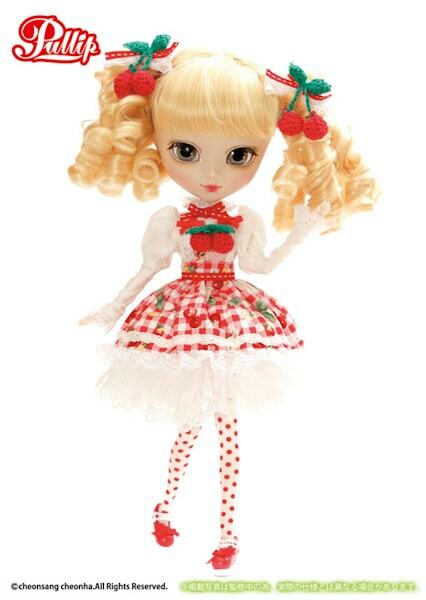 If you’ve got a craving for a sweet berry than Pullip Very Berrypop may just be the doll destined for you. Please share your favorite berry, if you have a fav, we wouldn’t mind hearing it 🙂 and while your commenting what are your feeling towards Very Berrypop? Does this sweet girl delight you or does she leave you feeling dissatisfied? 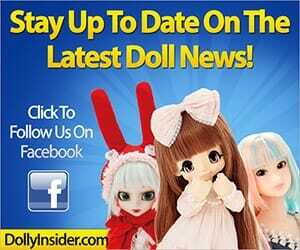 I don’t know what it is exactly, but there’s something about the doll’s expression that bothers me a lot. Something that makes her fall into “uncanny valley” territory for me. Is it perhaps the way her fringe conceals her eyebrows? Her eyes? I don’t know! No one seems to be bothered at all apart from me, though! Well, clearly she’s not a doll for me as I’m really creeped out by a certain something in her features, but I really hope Groove continues to create more original dolls from now on! Oh, and my favourite berry might be blueberries ;)! They did a great job on her dress, soo cute! I can understand why you feel creepy towards her. Hopefully owner photos will shed light on the creepiness issue. Hmm, this is an interesting design, it’s nice to see Groove try something new. 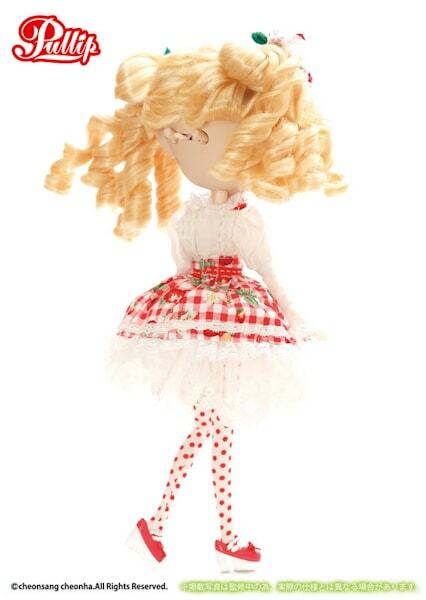 I don’t recall any Pullip releases that have crocheted pieces that I know of. 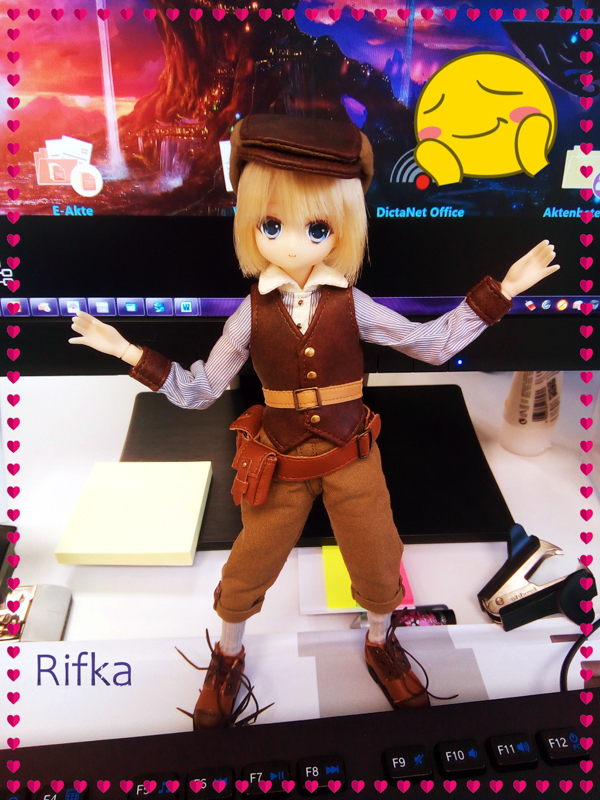 Her outfit is very cute, I like the fabric pattern a lot, and those polka dot stockings! Seems fitting that she’s releasing in June, her outfit reminds me of summer! 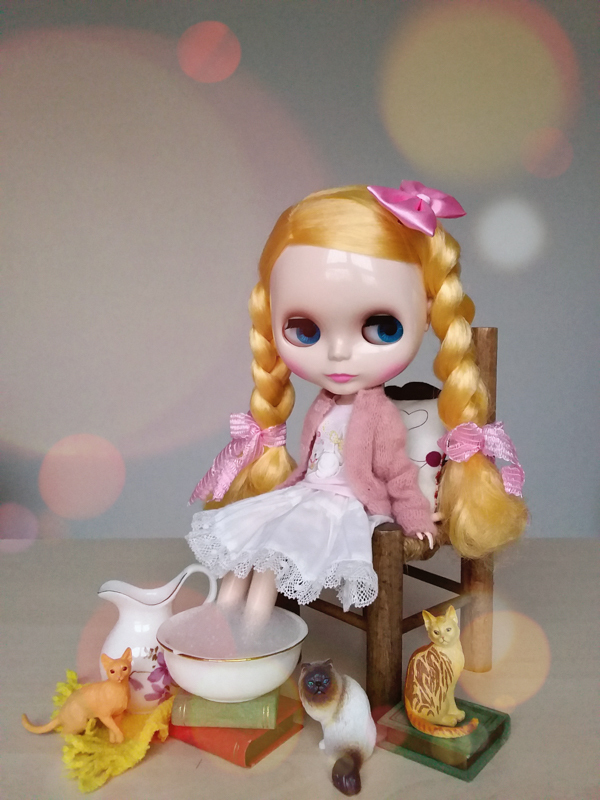 I feel like the wig may be a bit unruly, my experience with Pullip curls is that they get very frizzy even straight out of the box. It will be interesting to see some non-stock photos when she releases. I agree the berries on her chest is a bit of an odd design choice, it seems a bit out of place and detracts from the overall ensemble, she could do without it! 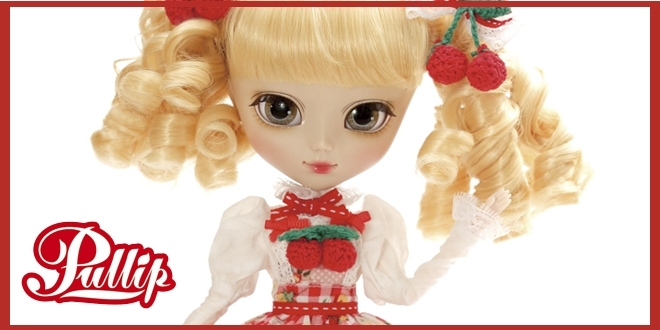 I don’t think I’ll be getting this one, but I do like that Groove is releasing new original Pullips! As for my favorite berry, I love Raspberries! 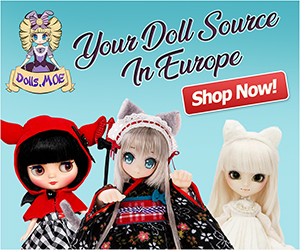 It’s extremely pleasant to see original dolls from Groove Inc again. I find the announcement of Very Berrypop a sign that there’s still a glimmer of creativity left in Groove. This girl and the twins from last months announcements are definitely on my owner pix watch list.